Makes sure you assembles a diverse & complementary workforce. Recruit people with maximum flexibility. An HPO makes sure it assembles a diverse and complementary workforce and recruits people with maximum flexibility to help detect problems in business processes and to incite creativity in solving them. 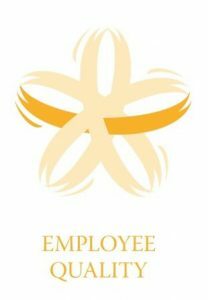 An HPO continuously works on the development of its workforce by training staff to be both resilient and flexible, letting them learn from others by going into partnerships with suppliers and customers, inspiring them to improve their skills so they can accomplish extraordinary results, and holding them responsible for their performances and with that encouraging them to be creative in looking for new productive ways to achieve the desired results. 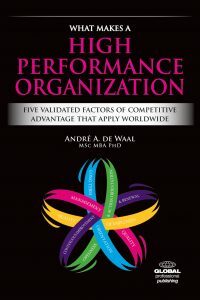 Download the eBook ‘An HPO… what is it?’ for free! The management of our organization inspires organizational members to accomplish extraordinary results. Organizational members are trained to be resilient and flexible. Our organization has a diverse and complementary workforce. Our organization grows through partnerships with suppliers and/or customers. For more information about the HPO Framework, HPO Experts, workshops and our do-it-yourself HPO Insight™ improvement tool, please contact us (schreurs@hpocenter.com or T. +31 (0) 35 – 603 70 07). has become just one of the hurdles to take on the journey ahead. It is all about giving meaning. That is key. Good Management Does Make Sense! How a quick external fix for your internal problems will never work!